Hello everyone! 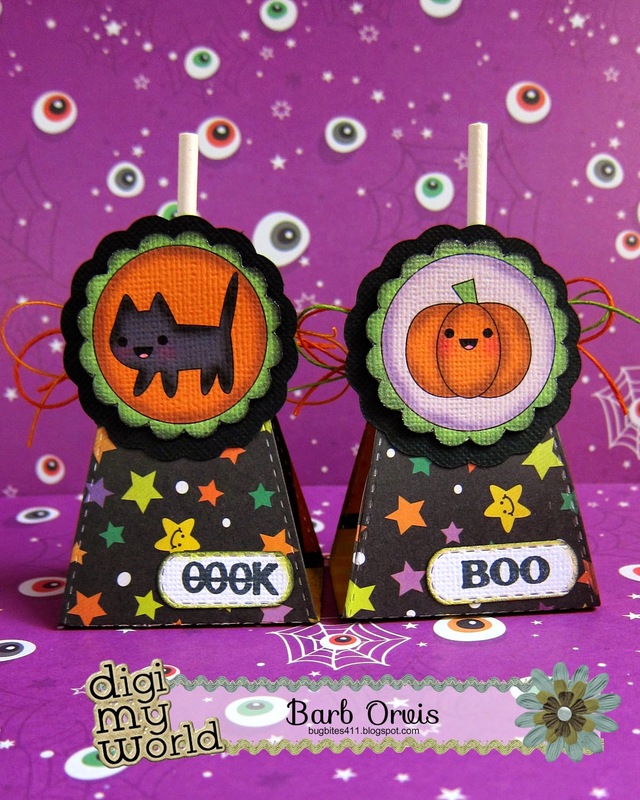 This is GiGi from The Cricut Bug and I am sharing this fall card. 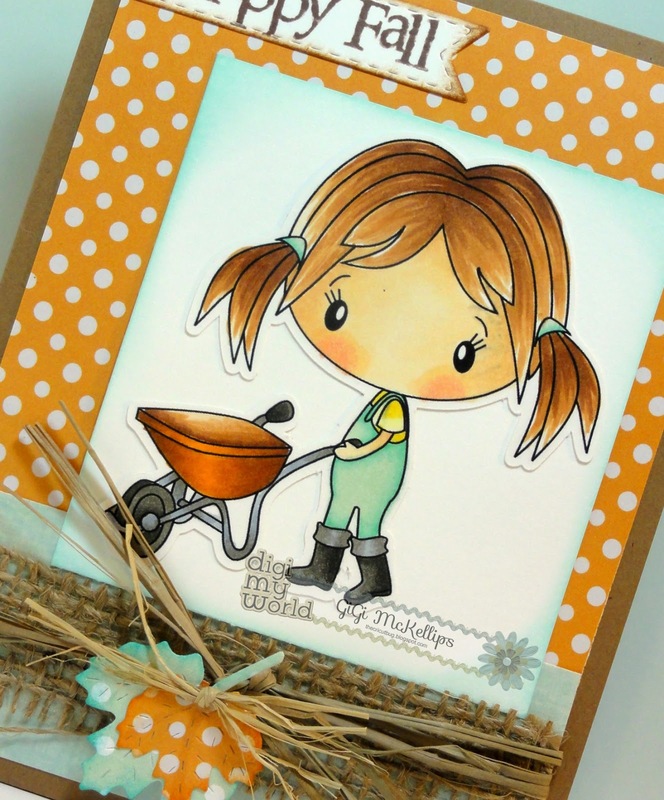 I used the Garden Girl Cindy Digital Stamps for this card. I love how this card came out. I love making cards using non-traditional colors! I printed and cut out Cindy using my Cameo and colored her with Copic Markers. I added a strip of burlap to the bottom of my card that I also wrapped with raffia. I cut the fall leaves using the Jaded Blossom Fall Dies and attached it with a pop dot. To finish, I added the sentiment banner that I cut using the Jaded Blossom Mini Tag Dies 2 and stamped with the sentiment form the Harvest Signs stamp set. I am going to miss working with Ann and the ladies they have been the sweetest and uber talented. Hope you all like my project today. 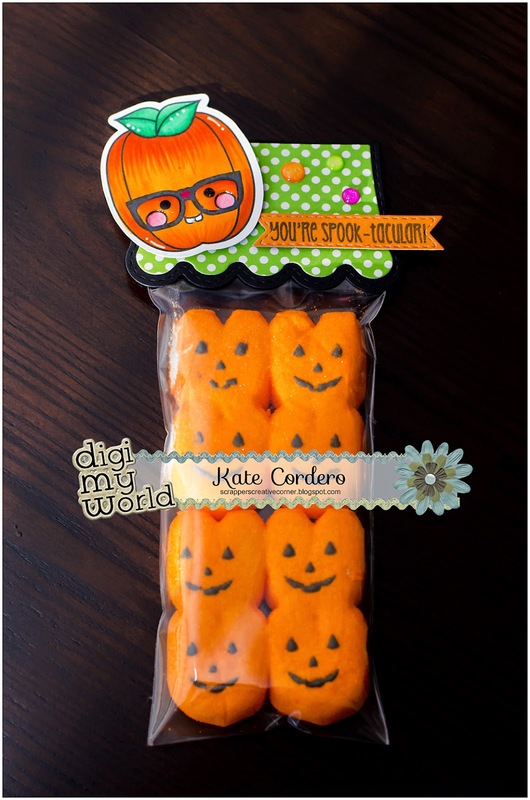 Easy Halloween treats using Clipart! 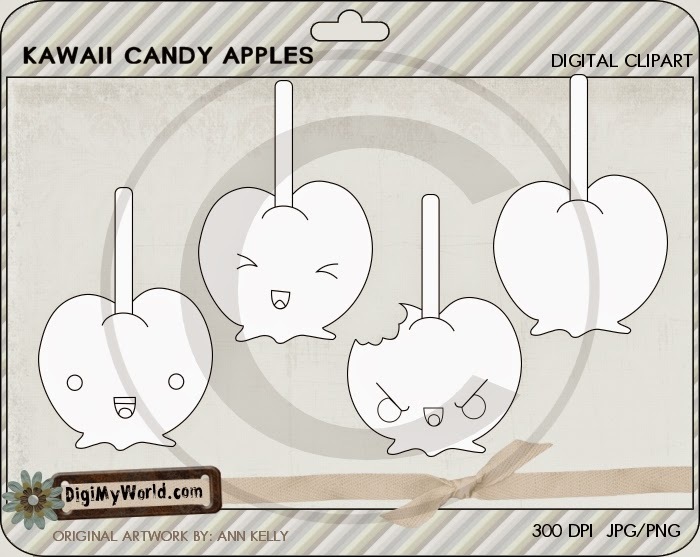 Hey there, Barb from BugBites here to show you how I use the fantastic clipart that is in the Digi My World Store to make quick and easy treats. I know many of you are digital stampers and are awesome at coloring those images, but for me, and I'm thinking a few others, I just don't have the time to color those beautifully detailed images. 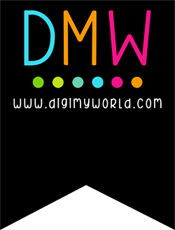 So, Digi My World to the rescue. 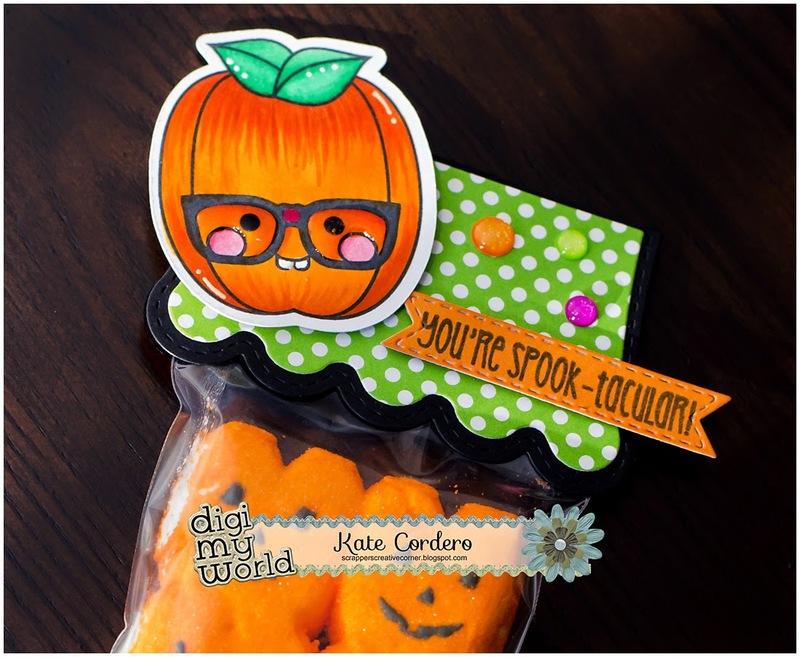 The store has lots of pre-colored clipart images that you can print and cut just like I did today for my quick Halloween treats. They look like I spent hours, when in fact they took just a few minutes. 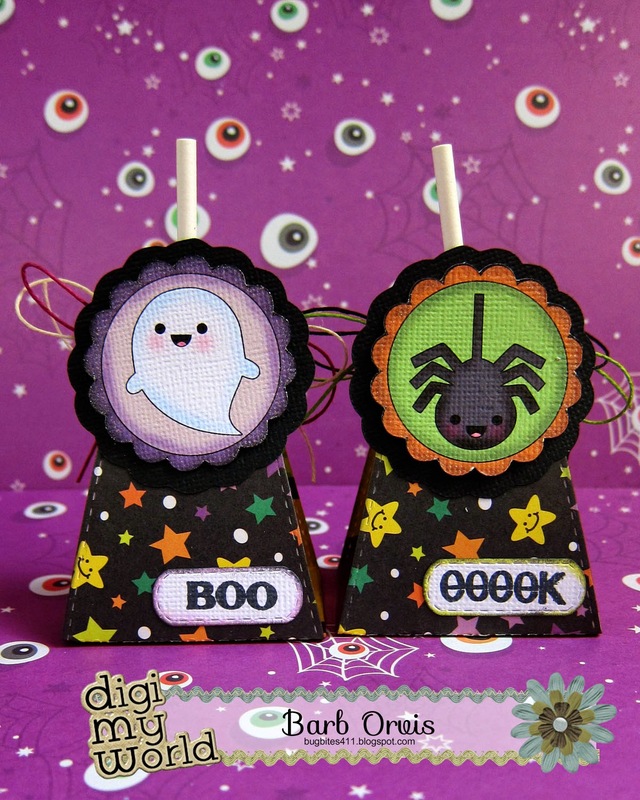 I simply downloaded the Halloween tags clip-art, printed and cut. You can find all the details for this project on my blog here. Digi My World clipart can really make your projects come together in a snap if you don't have the time. 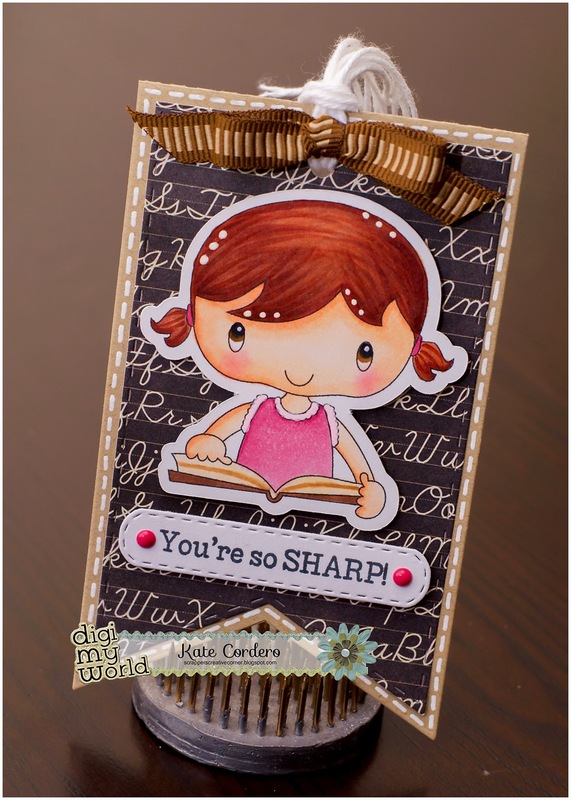 It's Larelyn from Handmade From My Heart here to share another card. 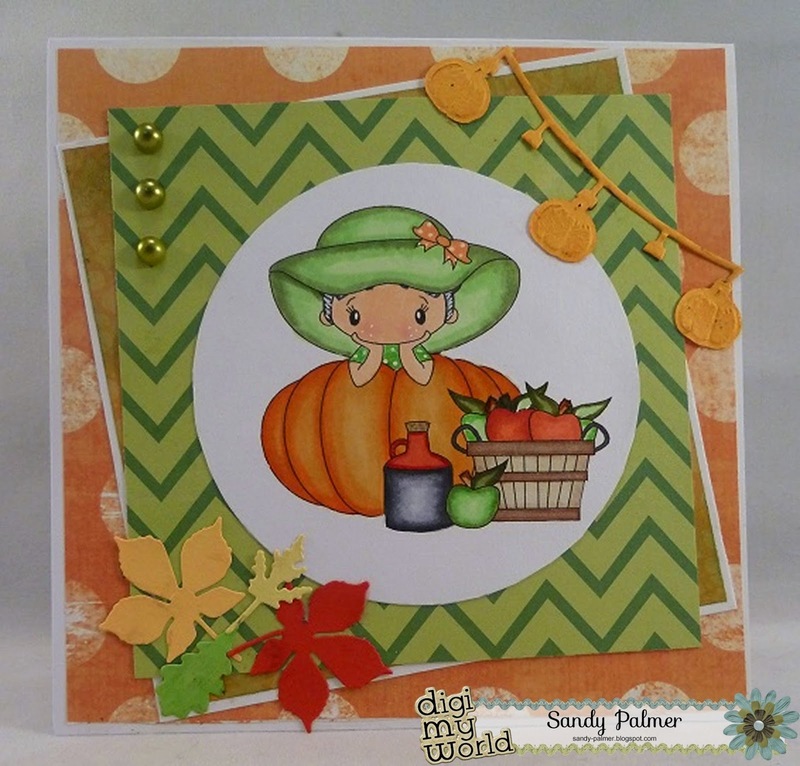 I love, love, love the colors of fall and found this great paper combination in DCWV's Dots, Stripes, & Plaids Stack. 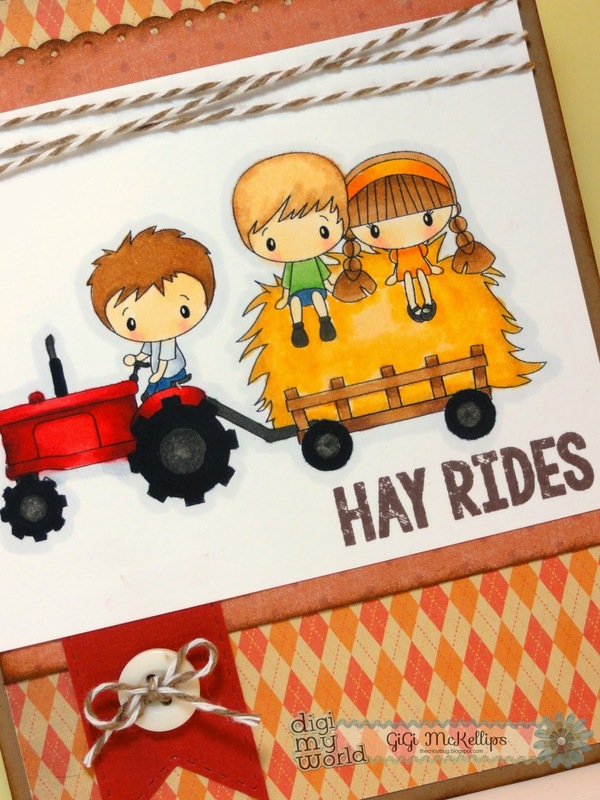 I think they're perfect for this adorable image from Digi My World's Hayrides set. 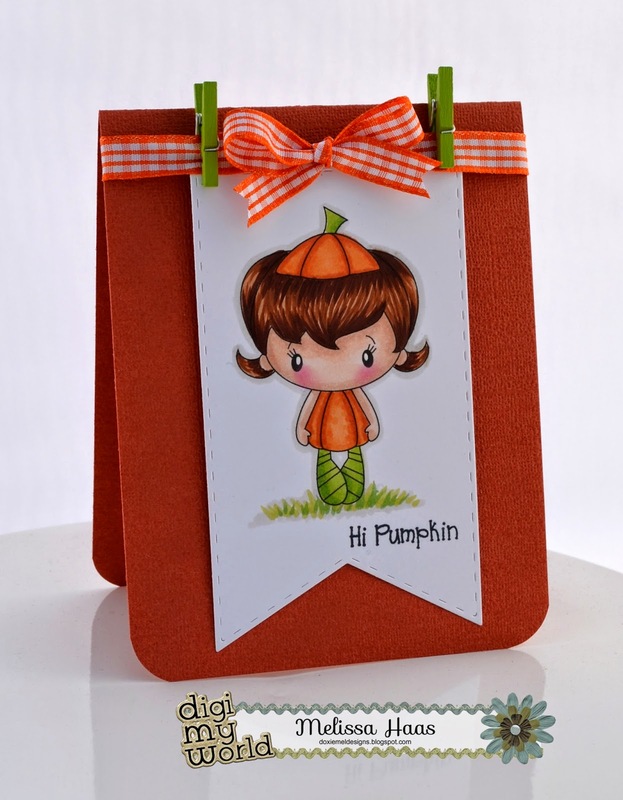 I added pumpkins cut from Jaded Blossom's Fall Die Set (a must-have! ), some DoodleBug Bakery Twine and a few gems. Thanks for stopping by today and Happy Fall! Hello! Melissa with a new card for you today. 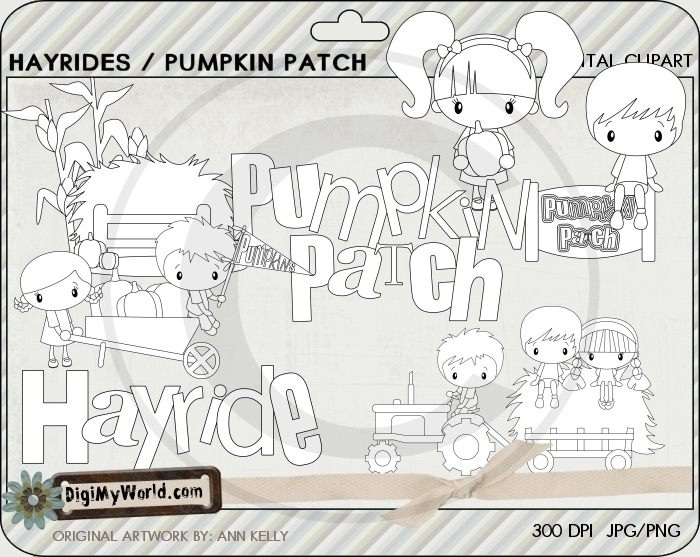 I found this sweet image at the Digi My World Store in the set called, Pumpkin Patch Cutie. She is printed and colored with Copic Markers. The banner is a Die From Jaded Blossom. Thanks for taking a look at my card today, have a wonderful week! 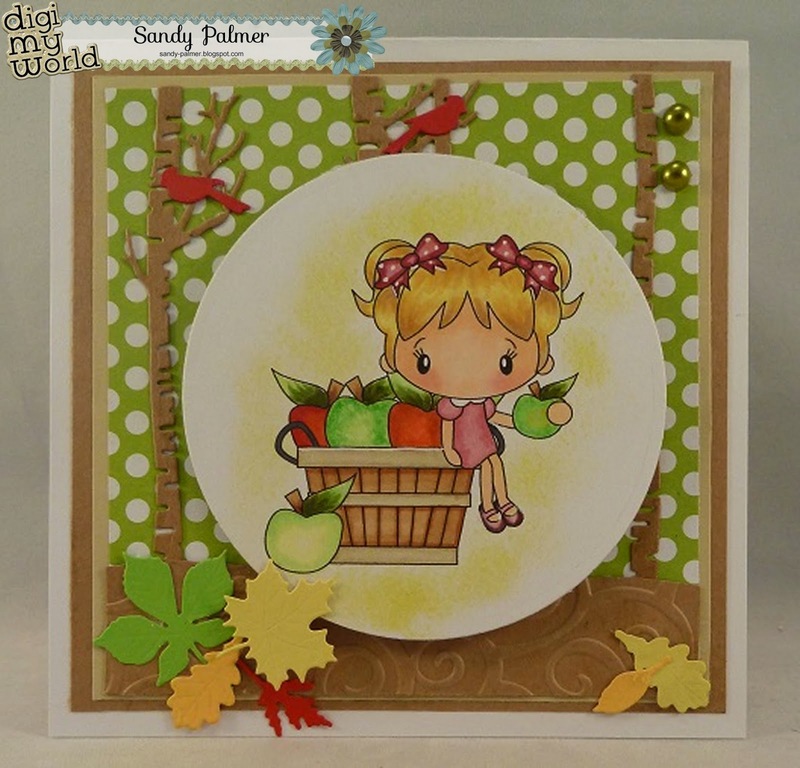 Today I am sharing a card that I made using an image from Apple Picking Time from the Digi My World Store! It is in the fall section! I used Paper Studios, Lime Green with White Polka Dot paper! Impression Obsessions, DIE079-U (Trees), and DIE095-D (Leaves)! 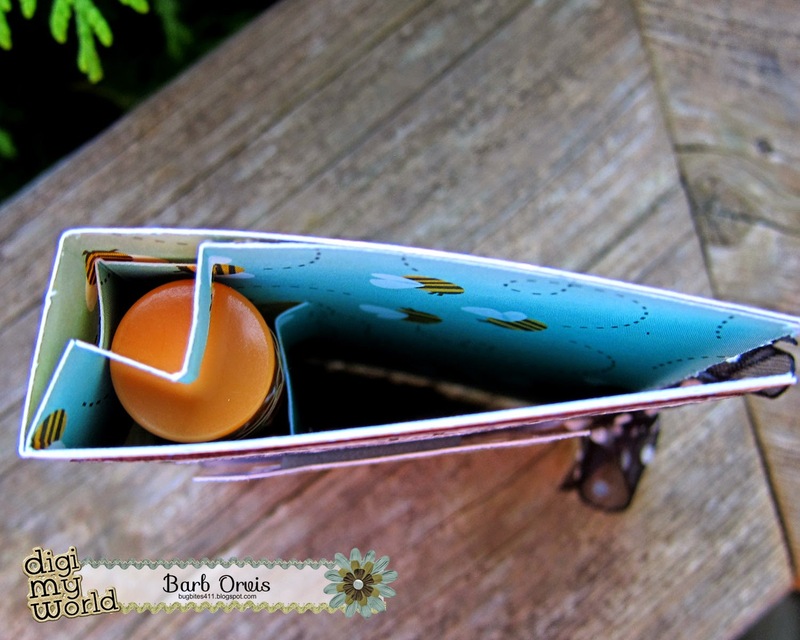 The embossing is from Cuttlebug called, D'vine Swirls! I colored her with my Copics! That's about it! Hello everyone! 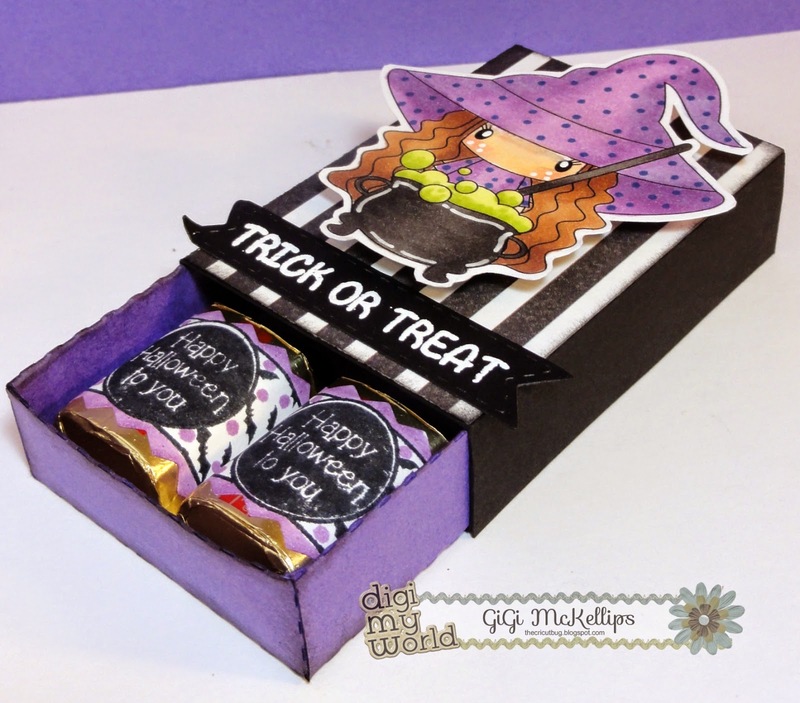 This is GiGi from The Cricut Bug and I am sharing this fun treat box using an image from the Eye Of Newt digital stamp file. I started by cutting the box from the SVG Cutting Files Nugget Matchbox Base file. 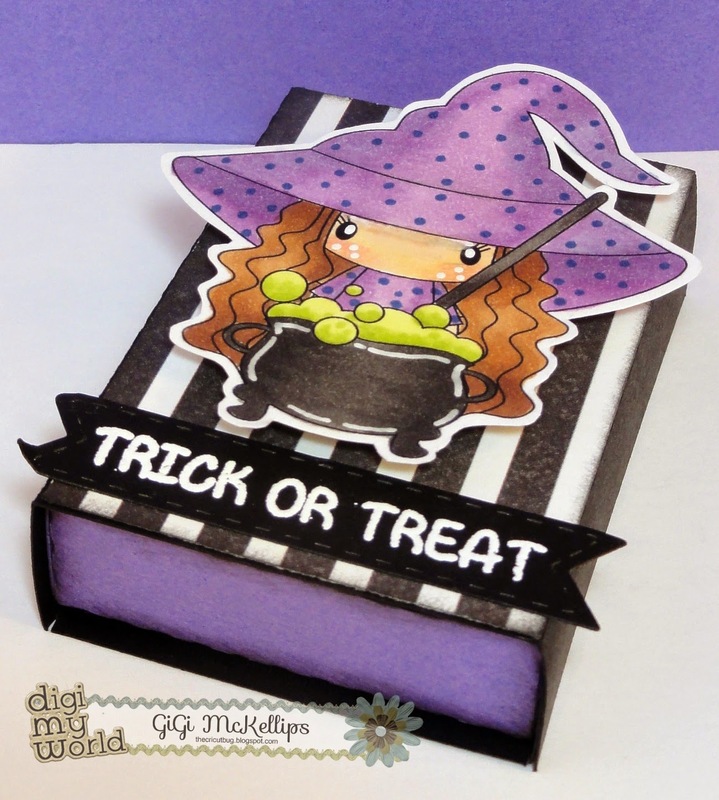 Then I printed and cut out the witch from the Eye Of Newt digital stamp set and colored her with Copic markers. 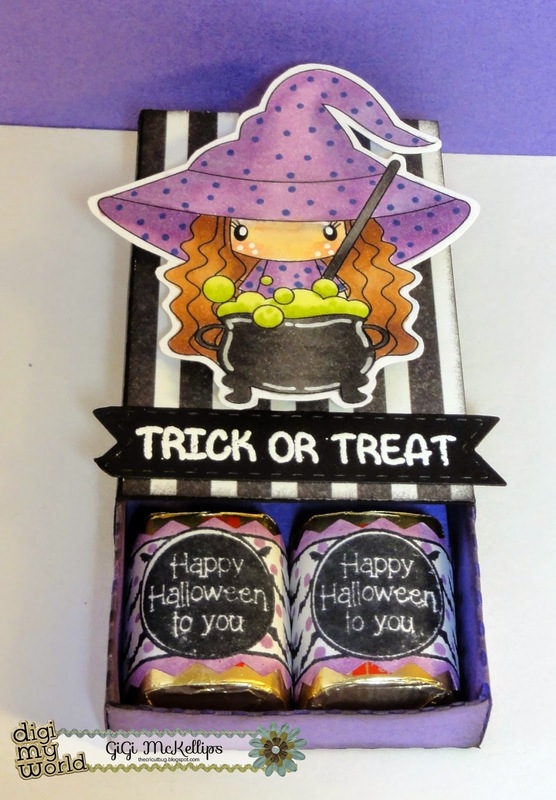 I heat embossed the sentiment banner that was cut using the Jaded Blossom Mini Tag Dies 2 and the Halloween Candy Wrap stamp set. I added Hersheys Nuggets to the inside that were covered using the Candy Wrap Dies. 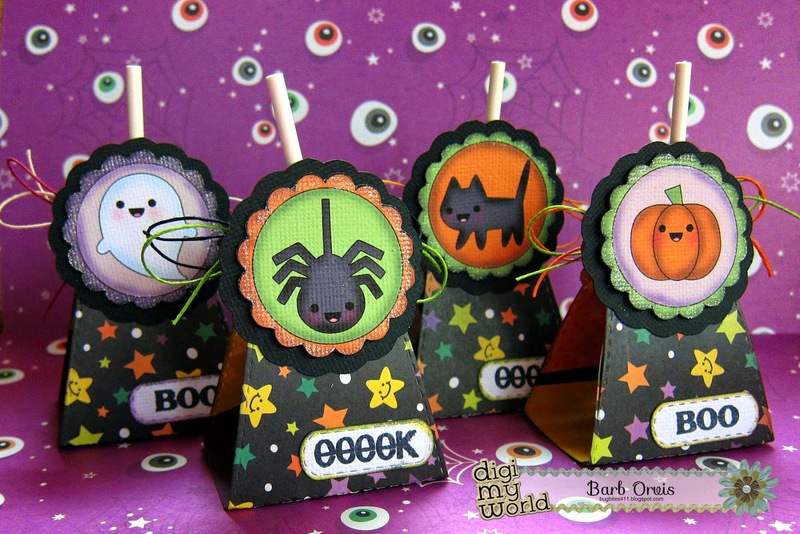 I stamped the bat background onto them using the Halloween Candy Wraps and stamped the centers using the Spooky Labels. 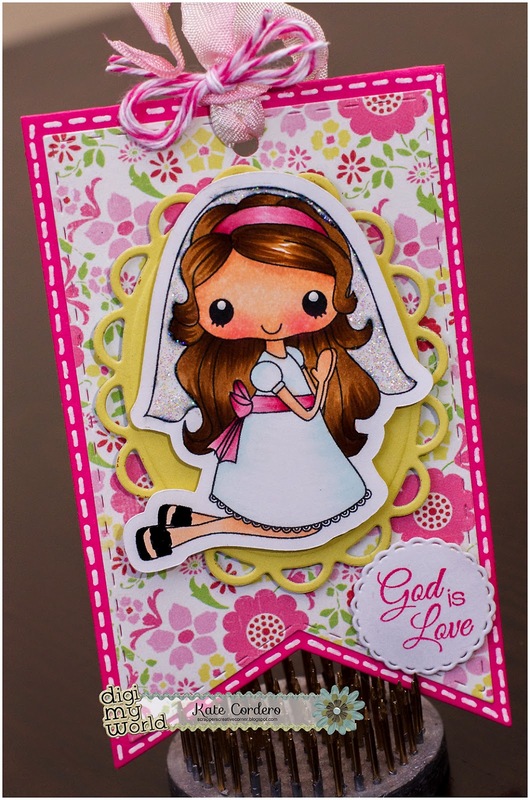 Hello Everyone, Kate here with you today and I just wanted to share the 2 bookmarks I made for my daughter... She starts her 1st year of Catechism so I decided to make this for her to use on her Book which will be given out this Sunday. I used Digi My World First Communion image. She is also starting to enjoy reading so I made her another Bookmark using the Love to Read image. For other info on what I used just visit my blog. Hey there, Barb from BugBites. 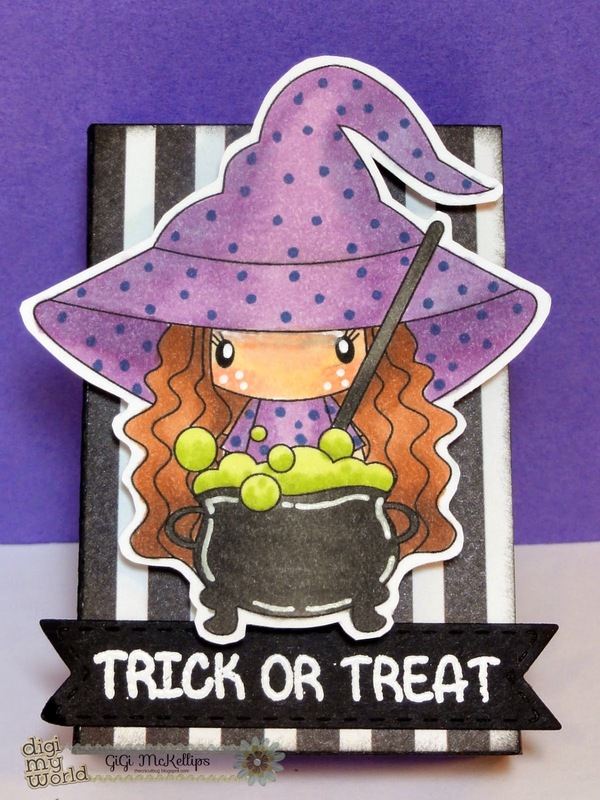 I have a card to share today thats has a little treat inside. 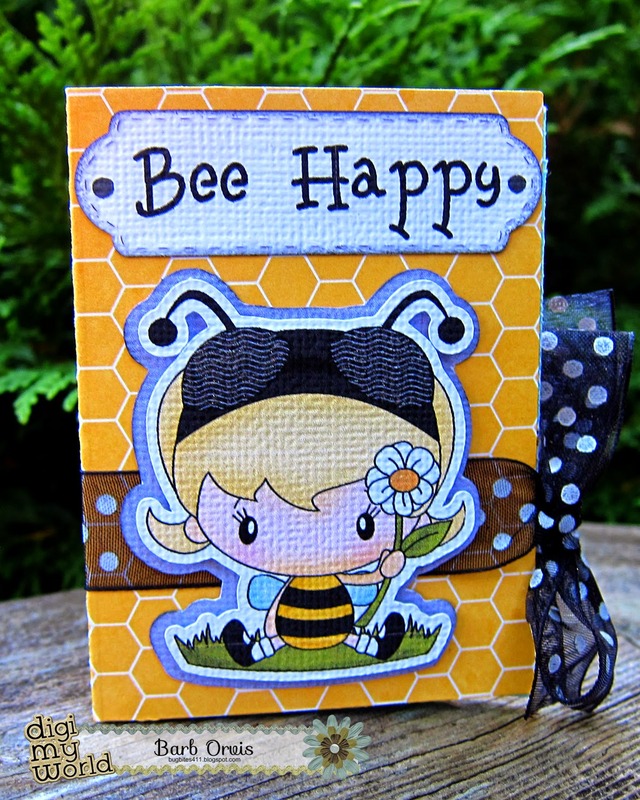 I am using one of my all time favorite clipart files, Cute as Can Bee for my gift card.I simple brought it into the Silhouette design software to add a shadow layer and went to print/cut. This is a little card that has a treat inside, a lip balm. you can see how the lip balm fits in the spine of the card. The overall card measures 2.5" x 3.5"
I tied it all together with a nice piece of ribbon. I found the tutorial here if you would like to try one as well. 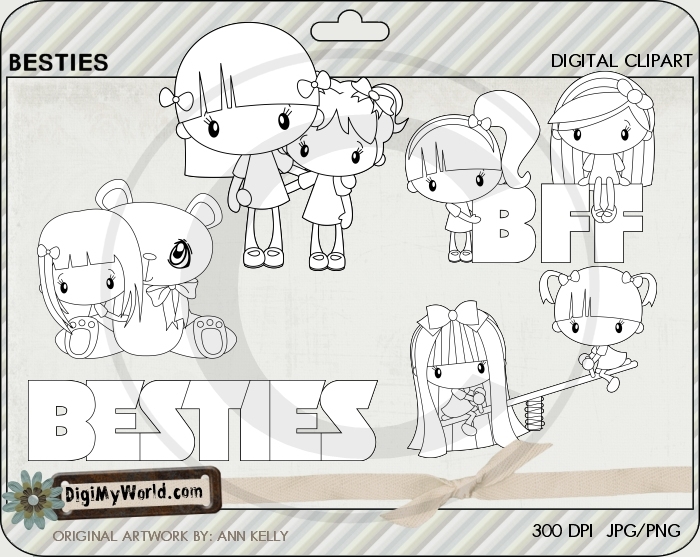 Can you tell how much I love the Besties set from Digi My World. Here is yet another image from this delightful digital stamp set. The gorgeous papers are from the Authentique Grace 6x6 pad. The ribbon is from my stash but I think I picked it up at Dollar Tree. The leaves were die cut, inked, and embossed using Spellbinders Autumn Harvest Shapebilities. The darling besties were colored with Copics. Good Morning! 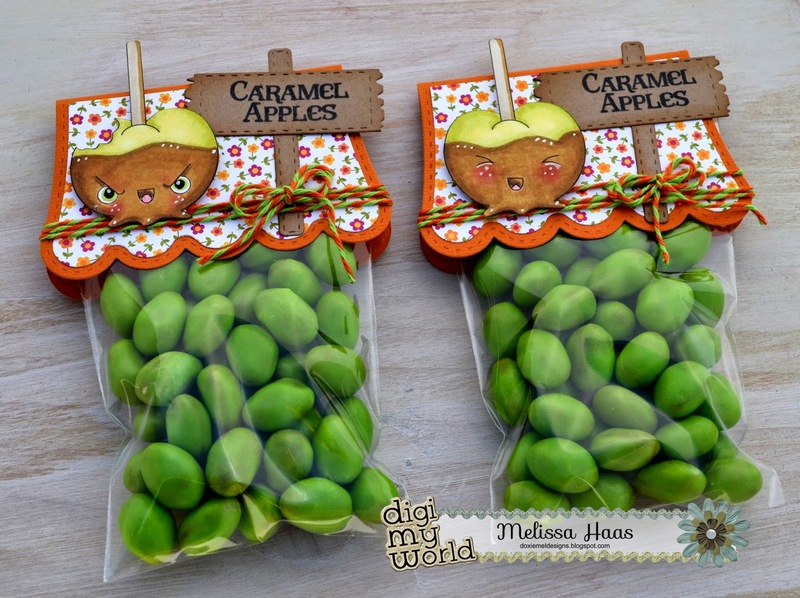 Melissa with a new project for you- I was in the mood to make treat toppers and found these candy apples. Perfect for these Candy Apple Sugar Babies! The one with the bite out of his head cracks me up- I printed and cut them with my Silhouette and then colored them up with my Spectrum Noir Markers. The treat topper and apple sign are dies from Jaded Blossom. Hello everyone! This is GiGi from The Cricut Bug and I am sharing this card. 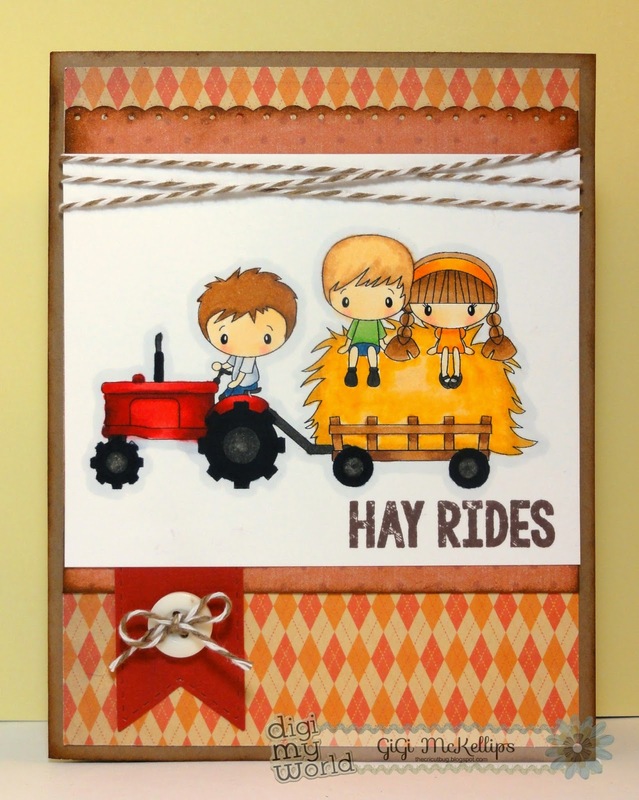 Fall is right around the corner so I used the Hay Rides Digital Stamp set for this card. This is such an adorable set for fall! I printed the image and colored it with Copic Markers. 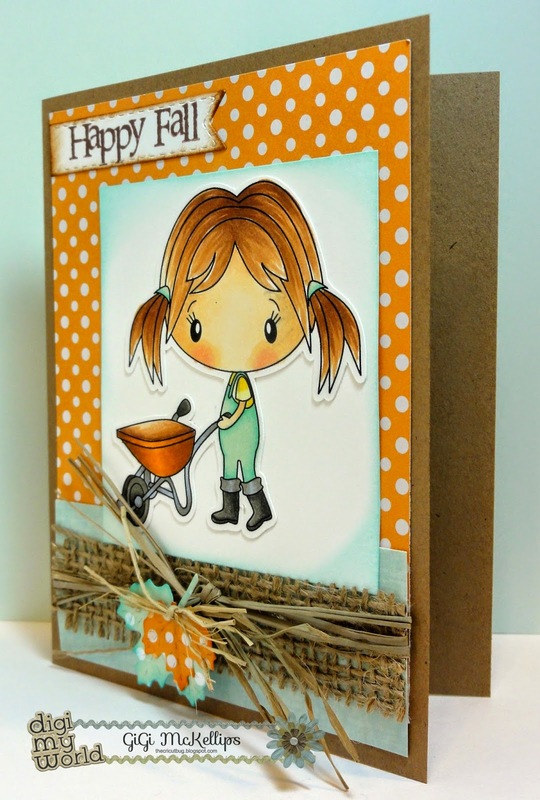 I stamped the sentiment from the all NEW Jaded Blossom Harvest Signs stamp set. I added a banner to the bottom cut using the Jaded Blossom Candy Charms and Banner Dies and added a button with a twine bow. I also added some twine to the top of the card. Today I would like to share with you a digi from Apple Picking Time! Fall is just right around the corner, so I thought this was a perfect time to start making cards for the season! 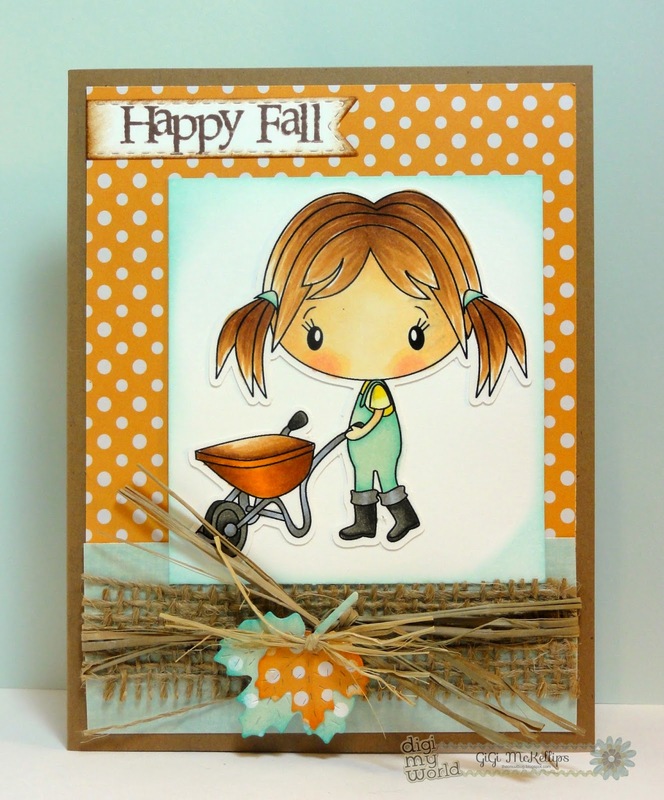 I used Impression Obsession Dies, DIE095-Dm which is the fall leaves! The pumpkin banner is a Cheery Lynn that was sent to me as a thank you gift! I was lucky and got to use up some of my scraps, which is always nice! I colored the image with my Copics! I used a touch of white gel pen on her outfit and bow!